The City of Angels has no shortage of excitement surrounding the bustling marijuana industry. LA has been a hotbed for legal and underground marijuana sales for decades and is now facing legislation regarding adult use recreational sale. Los Angeles marijuana dispensary jobs can be hard to come by, but there are definitely ways to improve your chances of getting the coveted interview to work as a budtender, receptionist and more. This moratorium effectively halted any developing progress of future dispensary owners and put a cap on the number of dispensaries allowed to exist for an indeterminate amount of time. With the ICO in effect, around 135 dispensaries were allowed to legally operate within city limits, as this was the standing number before the ICO came into effect. Proposition D (2013) was passed to reinforce the culling of dispensaries back to 135 even though the California Board of Equalization recently noted that “935 dispensaries registered to pay taxes.” This number is in keeping with a popularly held belief that somewhere around 1000 illegal dispensaries are said to exist under the radar. While this article technically details only legal Los Angeles marijuana dispensary jobs, we aim to highlight the importance of being current on state and municipal legislation, in order to highlight how important it is to keep up with changing legislation. What Are Los Angeles Marijuana Dispensary Jobs? Whether you consider yourself a true cannabis connoisseur, or you’ve never inhaled before, knowing the ins and outs of Los Angeles marijuana dispensary jobs helps to demystify some common misnomers about legally selling pot. Though Los Angeles marijuana dispensary jobs vary from shop to shop, there are certain roles you can expect to be filled in almost any dispensary you enter. The noted budtender is the cannabis whiz of Los Angeles marijuana dispensary jobs. Budtending is a hotly pursued job as it combines the community based element of customer service with hands-on interaction with cannabis products. Positioned behind the product display counter at your local dispensary, Budtenders are expected to provide patients and customers with an informative overview of a dispensary’s products. This requires not only in-depth knowledge of various marijuana flower strains, but a comprehensive education in other cannabis products like concentrates, edibles, tinctures, and more. What kind of high will this give me? A common inquiry many customers have concerns the high they’ll experience from the products they purchase. Some people are looking for a more energized, creative and cerebral high, while others desire a relaxing body high. Budtenders must be able to take this information and effectively suggest options to achieve these results. This requires budtenders to know more than just the difference between sativa and indica plants: they must have strain-specific suggestions based on their current inventory. Budtenders should also be able to provide ball park suggestions for how much to consume depending on the customer’s perceived tolerance and experience level. Especially in the case of Los Angeles medical marijuana dispensaries, budtenders must be aware of the medical implications of different cannabis products. Firstly, budtenders use their knowledge of strains to successfully select viable options for their patient. Then, they must consider what methods the patient likes to use when consuming cannabis. Some medical patients do not like to smoke, especially those who require a more sustained high and don’t want to be smoking all day. For this reason, budtenders may prescribe edibles or other methods like tinctures. What Will the Product Taste Like? 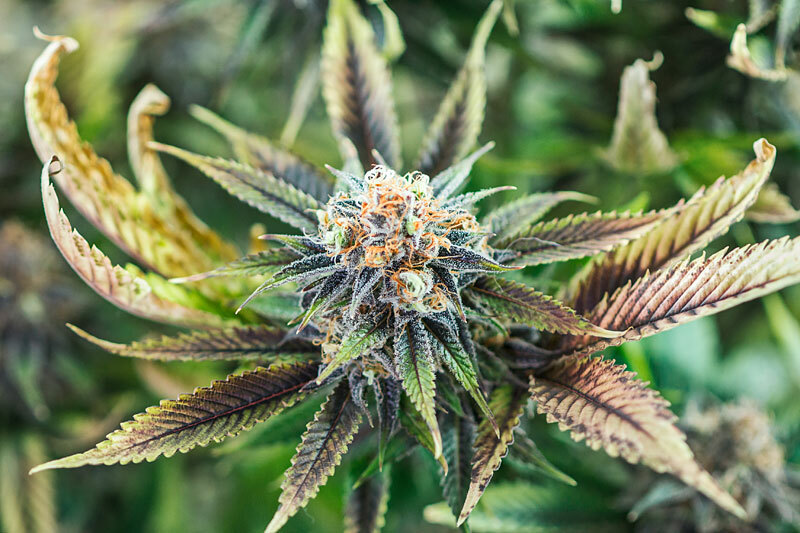 Since cannabis is being viewed under a more artisanal microscope, customers are not only interested in the effects of marijuana, but in the aroma, flavor and harshness of the strain. This is why most budtenders do their best to test out much of their inventory, so they can say from experience what the product tasted like to them. If the budtender hasn’t tried the products yet, they should at least have an idea of what it should taste like based on the strain’s terpenes. In addition to assisting customers, budtenders are primarily responsible for preparing products for sale and managing product display. This includes filling pre-roll joints with trim, weighing and packaging flower and cleaning showroom and display areas. Though budtender jobs are technically more entry level than jobs in dispensary management, they almost always require at least two things: passion for cannabis and customer service/sales experience. While different dispensaries have specific hiring protocol based on marijuana industry experience, all hiring managers are looking for applicants who care about cannabis. Wages for budtenders can start as low as minimum wage, or slightly above (around ten dollars per hour). However, depending on the employee’s level of experience, or their consistency in their job, individual budtenders can make up to fifteen dollars per hour or more if they become a head budtender or move into management. The dispensary receptionist is the unsung hero of Los Angeles marijuana dispensary jobs, as they carry out all the administrative tasks necessary in order to comply perfectly with state and local regulations. Receptionists process customer identification and enter the information into online databases. Receptionists are responsible for ensuring basic security protocol is followed, especially online. They enter and organize business related data on a daily basis and must make sure everything is securely located. Good communication is a lauded skill for all Los Angeles marijuana dispensary jobs, but this is especially true for receptionists. They are responsible for communicating with customers and other individuals involved with the dispensary’s business interactions. This communication is carried out in person, as well as over the phone and online through social media forums and email. Receptionists are jack-of-all-trades who assist dispensary managers with any tasks that require their attention. Though some dispensaries hire out marketing staff, receptionists may be charged with updating and facilitating the business’s social media and Leafly accounts, in order to stay current and compete with other businesses. Dispensary receptionists should possess many of the qualifications associated with being a budtender or other dispensary staff. A knowledge of cannabis legislation is key for operating under compliance. Additionally, any office/receptionist background outside of the marijuana industry is valuable, even if the applicant has never worked directly with cannabis. Since many dispensaries employ budtenders and receptionists interchangeably, the more skills a receptionists has makes it more likely that they will secure shifts as a budtender, or advance to a higher position. Also like that of a budtender, receptionist wages range from around ten to twelve dollars per hour. The jack of all trades of Los Angeles marijuana dispensary jobs is the dispensary manager. Managers not only are responsible for the same quality of customer service as budtenders and receptionists, they must also hire, train and lead these employees on a daily basis. Dispensary staff can make or break a business’ success, since legal cannabis is such a consumer driven industry. Therefore, managers are tasked with hiring a strong group of employees who can help a business grow. Managers also facilitate inventory and ordering, as well as creating employee schedules and handling any customer complaints. Another important facet of being a dispensary manager is facilitating dispensary-grow operation relationships. Dispensary managers ultimately oversee all day to day operations and make sure every sale is carried out successfully and all merchandise is accounted for. Dispensary managers are almost always required to have years of previous management experience, particularly in dispensary management. When applying, prospective managers should be able to highlight successes they’ve had in leading a team and ensuring compliance. Compensation for dispensary managers is often commensurate with experience level desired and responsibilities of the job. This position can be a major career for the marijuana enthusiast as it creates possibilities for future dispensary ownership. A high ranking dispensary manager can at times make six-figure salaries. Dispensary owners are the cowboys of Los Angeles marijuana dispensary jobs. Only a handful of owners (legally) exist in LA due to current regulations and their success is hard earned. Jumping through all the logistical and financial hoops, dispensary owners must have a strong vision for their business and a real passion for cannabis. While this position is technically at the top of the dispensary hierarchy, the job also encompasses the most opportunity for financial loss. Breaking down the day to day tasks of a dispensary owner may be futile, as there are an untold number of responsibilities and duties an owner has to deal with. They must encourage and support their employees and customers, as well as participate and comply with legislation. For this reason alone, it is important that dispensary owners be willing to take on a lot of stress in order to bring their dreams to fruition. Opening up a marijuana dispensary in Los Angeles is a convoluted and ever-changing process. Because of this, the “qualifications” mainly involve complying with city and state legislation. Compensation for dispensary owners is entirely based on the success or failure of their business–only time will tell what the payout will be! Dispensary security personnel are the protectors of Los Angeles marijuana dispensary jobs. While not every dispensary chooses to employ in person security measures, guards help to keep a friendly and safe atmosphere inside dispensaries. Though security personnel may help to limit external and internal theft, a guard’s presence may take away from the peaceful, yet professional ambience dispensary owners and managers attempt to cultivate. As the state of California moves forward in the adult sale of cannabis products, the nature of Los Angeles marijuana dispensary jobs will change to reflect a more progressive undercurrent. When searching for a job, make sure to keep up to date on all Los Angeles regulations to be as prepared as possible for the competitive dispensary job market.